We've teamed up with Jamie Magazine to create a Best of British box to showcase some of our favourite producers across Britain, a perfect compliment to this months issue of the magazine! We're also offering members of the Jamie Magazine Members Club an exclusive discount! 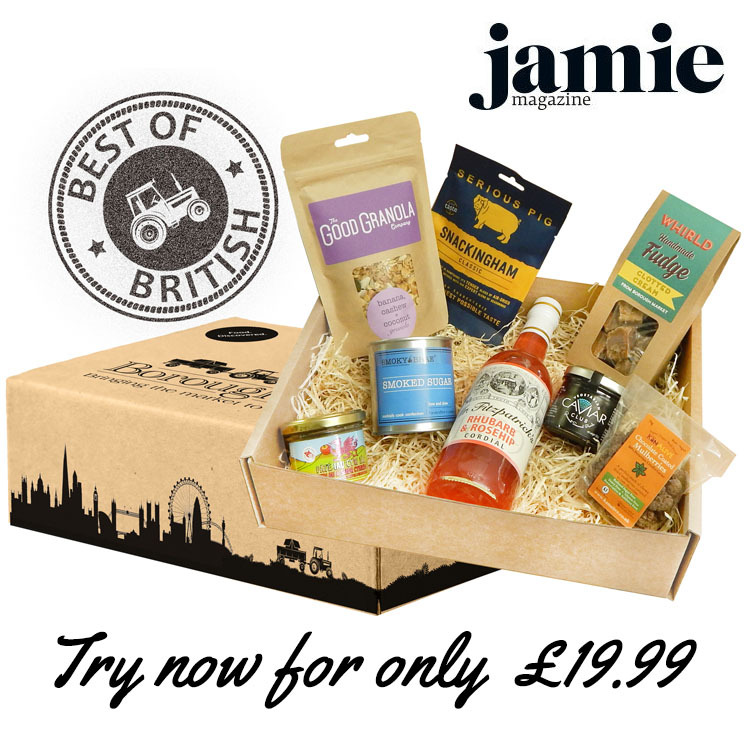 Use code JAMIEMAG to get the Best of British box for under £20, that's a saving of £15. You'll also save £5 every month for the lifetime of your subscription. We don't tie you down to a lengthy contract so you can cancel at any time, for any reason. * Code JAMIEMAG will give £15 off the first month of a monthly subscription package only. Future months will save £5 so you will be charged £29.99 each month. You can cancel at any time.